RSAE Labs has successfully demonstrated the utility and versatility of its mist® mesh devices in scenarios representing a victim recovery. 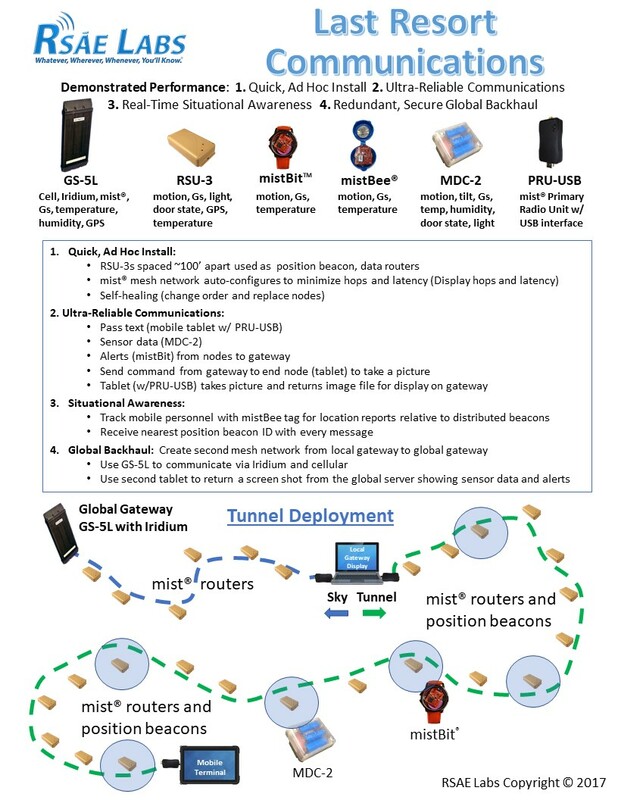 In executing this scenario, mist® devices are deployed to provide mesh network continuity and location awareness as the recovery team proceeds toward the victim. For network continuity, a device is normally positioned every 600’-1400’, depending on the device type and the environment. To achieve better position awareness, devices can be deployed closer (60’ – 100 ‘). 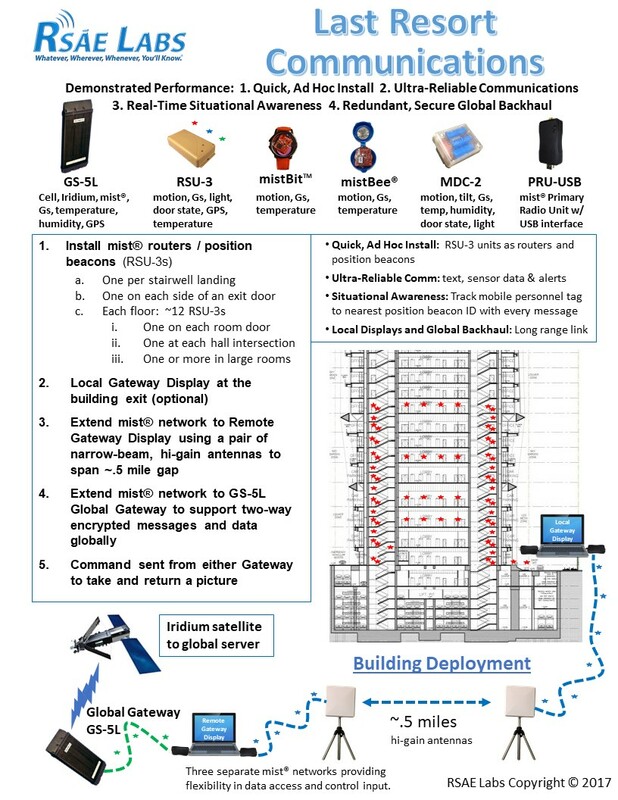 The resulting mesh network forms a “wireless zip line” that allows subsequent participants to follow it while all the data-viewing displays (on-scene, local and global) show the location of participants along the wireless zipline. Once the victim is “recovered”, a picture of the victim can be sent by the mist-enabled tablet to observers for ID confirmation followed by an affirmative SMS text message response to return to base. 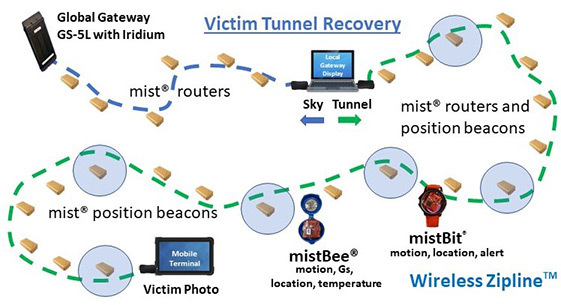 The victim and recovery team are equipped with mist-wearables, such as the mistBee® pendent and mistBitTM watch. During the return trip back along the wireless zipline; their progress and the condition of the environment along the zip line are continuously reported to on-scene, local and global observers. Text messages are exchanged to communicate two-way status, cautions and alerts.